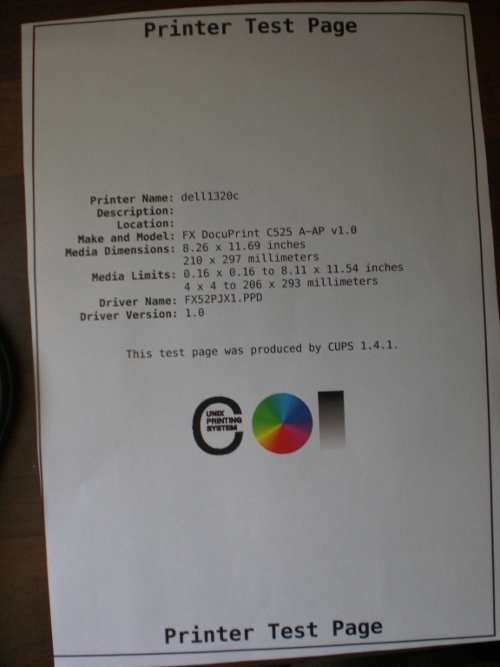 As you may or may not be aware some printers add extra information in order for the printer to be identified (primarily for counterfeiting case I believe). 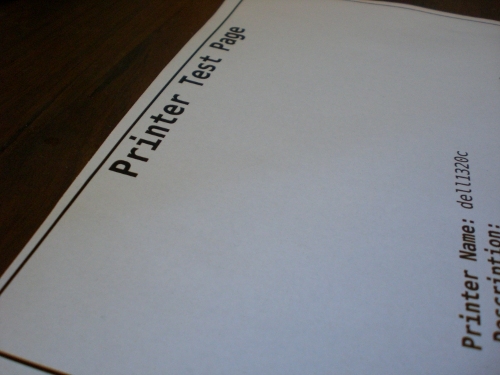 With colour laser printers this can be in the form of a small array of yellow dots printed onto you paper. 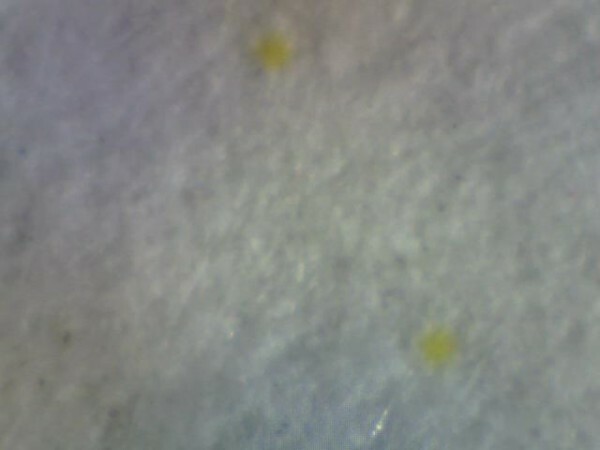 Yellow dots are hardly visible to the naked eye, however if you are close enough and get the light at the right angle you can see them. 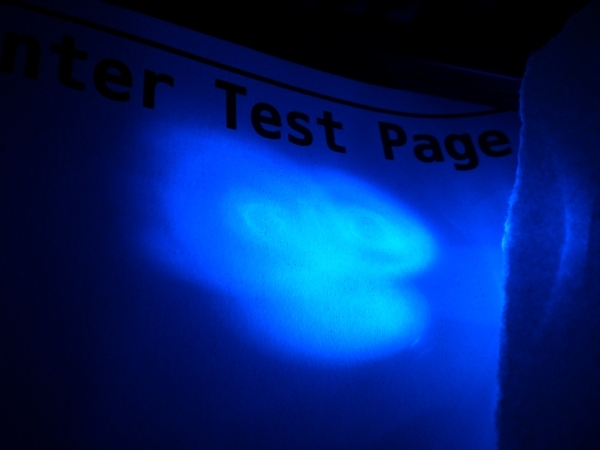 If you have some blue leds or a blue light available this can make it much easier to see the dots (as the yellow dots will absorb the blue and look black). Unfortunately I my camera isn’t good enough quality and it doesn’t have a macro lens or feature so I can only show images at both extremes. 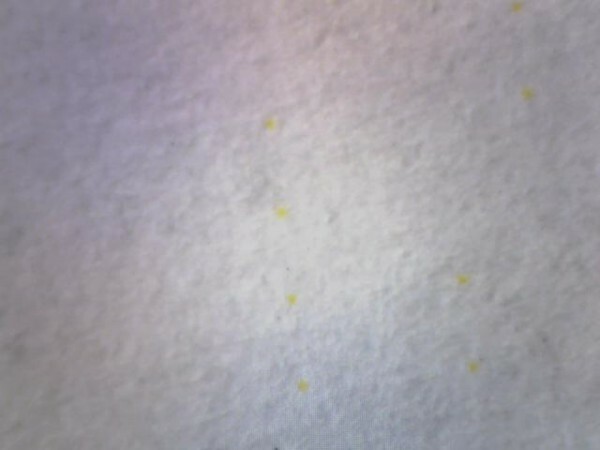 Below are images captured with my microscope, you don’t have to look very far around the page, as the clusters are littered all over the page. 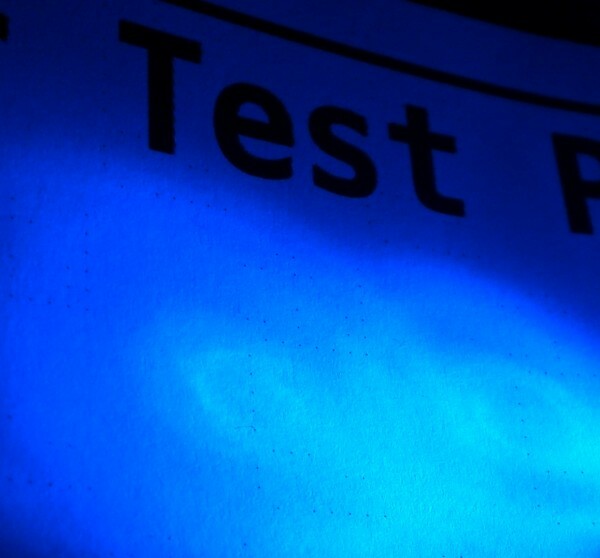 The Electronic frontier foundation have more information about the dots and have setup an address you can send a print test page to in order for them to build up a public defence case. Perhaps criminals will end up printing with yellow backgrounds to combat this method?